It’s that time of year when the smell of racing fuel and burned oil fill the air. 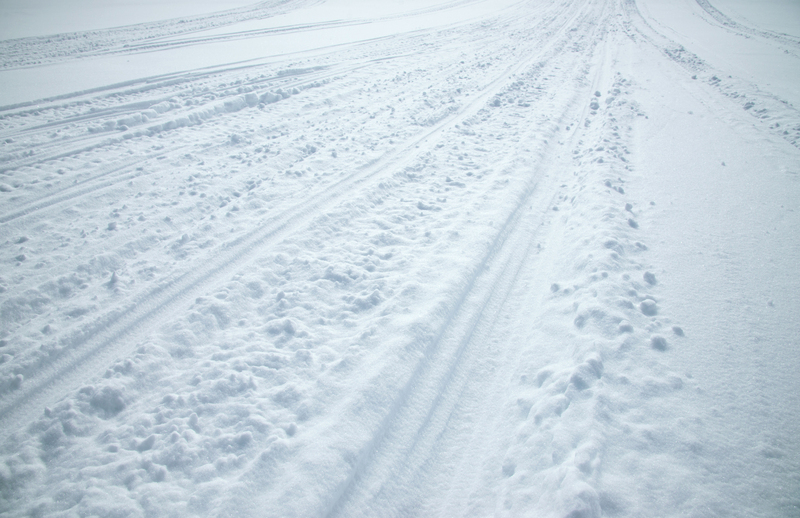 It’s time to think about winter activities like snowmobiling and snowmobiling; what else is there? To kick off the season, the Sno Barons Hay Days brings excitement every snowmobiler, young and old. There are plenty of activities and two days just doesn’t seem like enough time anymore to see it all. This event has grown huge over the last 50 years. That’s right, it’s Hay Days 50th Anniversary, and because of this here are five things you won’t want to miss. 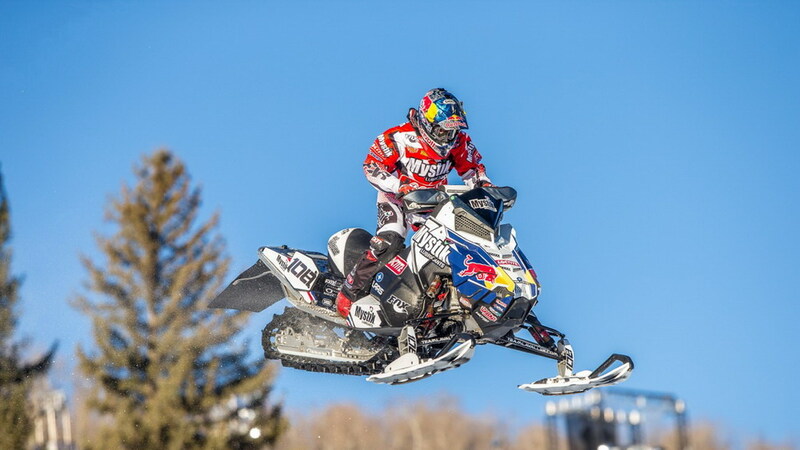 Levi LaVellee has become the modern-day Evil Knievel in the snowmobile world. He has performed many jumps and tricks on a snowmobile. This year at Hay Days he is planning to set a world record by jumping farther than any snowmobiler has jumped before (on purpose). We aren’t talking jumping off a cornice and landing in powdery snow. We are talking parallel to gravity and landing on a ramp, on hard ground. This is one world record you won’t want to miss. 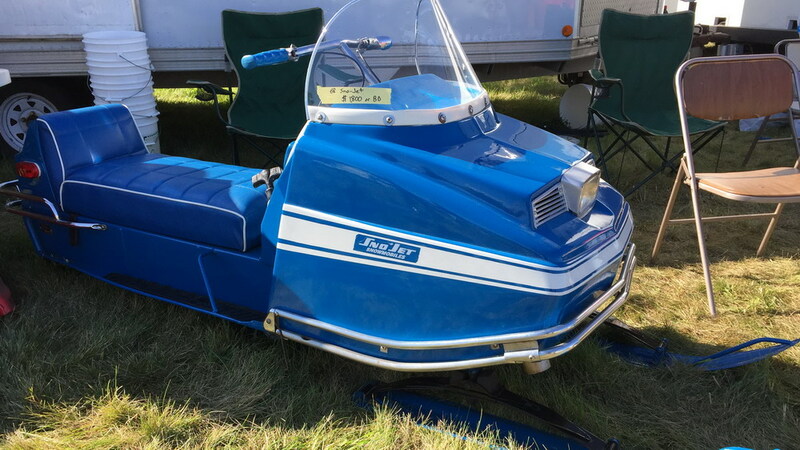 You’d have to travel back in time to see how they raced snowmobiles 50 years ago, unless you go to this year’s Hay Days. Both days will feature an antique sled race right after the opening ceremonies at 11:30 am. 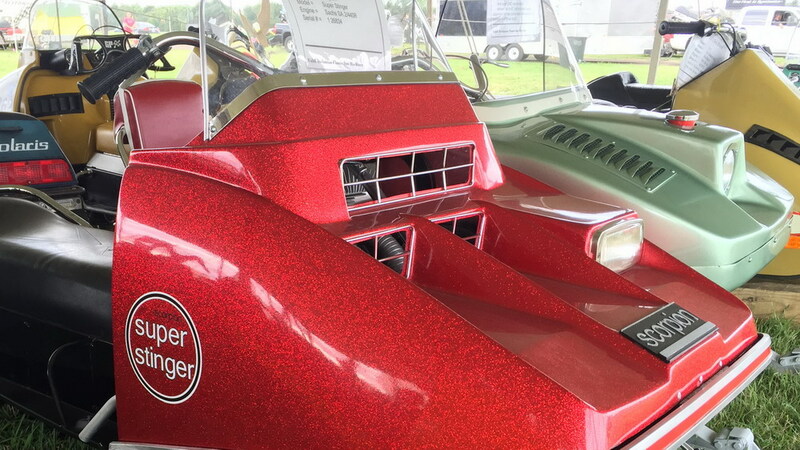 You thought today’s snowmobiles were fast, just wait until you see how fast they were 50 years ago. Yeah, not that fast, but they will wear helmets this time. The only thing cooler than having a Hay Days 50th Anniversary t-shirt is having one from the first year. We aren’t sure they even had any the first year, so get one this year and show everyone you were there making history among a record crowd. With a very low snow year, people are anxious to get out and ride. They couldn’t ride much last year in the Midwest and when nobody’s riding, nobody’s buying stuff. The new stuff is here and people are chomping at the bit to buy themselves new stuff, so there will likely be deals to be had on their older stuff. We’ve found if you’re looking for a rare engine cylinder or leaf spring, get there early. 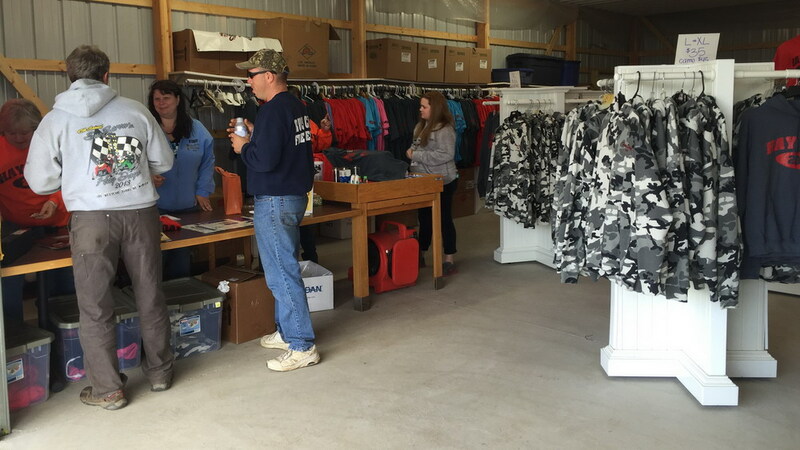 If you’re looking for deals on last year’s clothing, there’s plenty and Sunday late morning is when you’ll find people don’t like to pack it up and take it home. Used sleds are a dime-a-dozen, but some are in great shape. If you want a gem, look for it mid-morning on Saturday. If you just want something to have a little fun on or a sled for the kids, grab it on Sunday. Prices get slashed on Sunday. 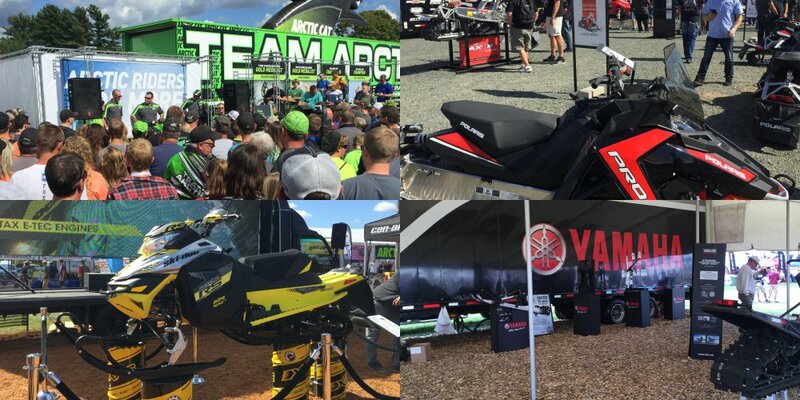 Of course, Arctic Cat, Polaris, Ski-Doo and Yamaha will be there. 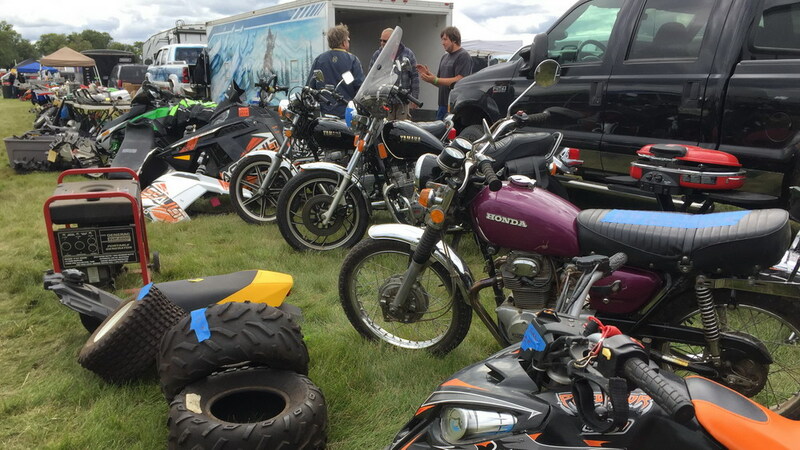 All four manufacturers will have something new to show off at Hay Days this year. Unless your underwear matches your favorite brand’s colors, check out these exhibitors mid-morning or mid- afternoon. Their displays rarely change over the course of the weekend, but each one is a must-see if you’re a true sledder. When you stop in, mention you saw this article on MaxSled.com. It’ll score you points! 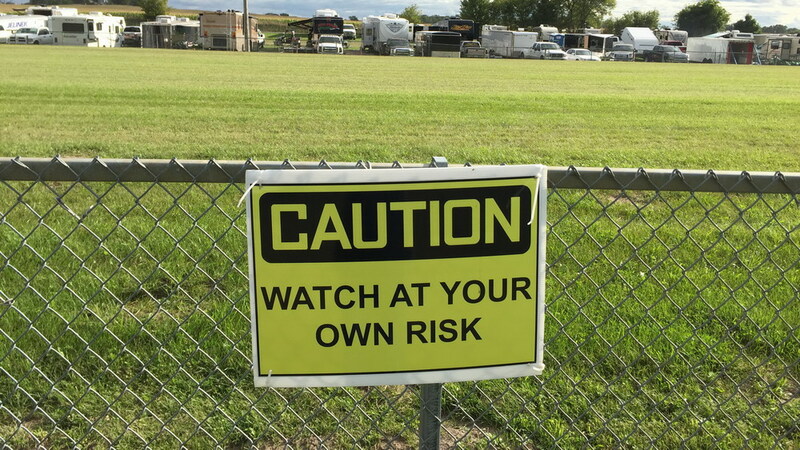 There’s way more than five things to see at Hay Days. We will follow up with an article on the interesting things we saw while we are there sometime mid-September.